When the beloved (I’ve changed his name because this suits him more) brings home 3 gallons of figs, what do you do? 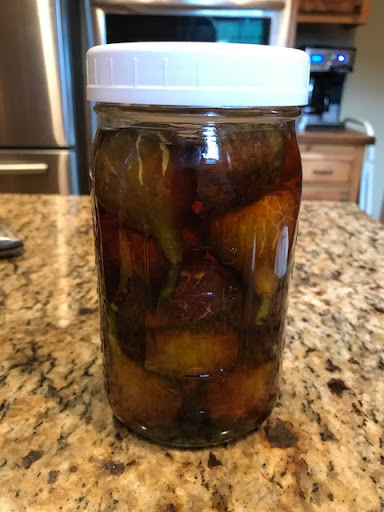 Besides the normal fig preserves, which I’ll post a recipe for later, you can make Brandied Figs. This is not an inexpensive recipe, but a recipe that you save for special occasions. I only made one quart jar, so the quantities are for that. 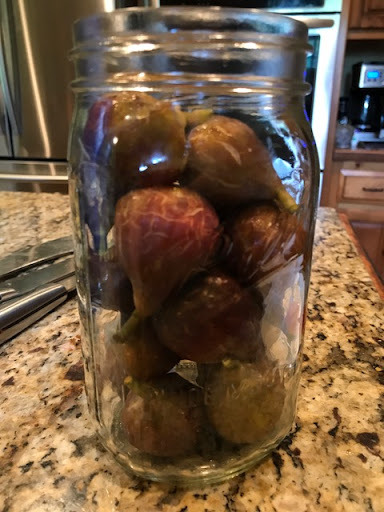 Carefully, place the figs into a clean, sterilized jar. I left the figs whole with stems but you could cut them into halves or quarters if you prefer. You would be able to get more into the jar by cutting them. In a medium sized pot, place all the remaining ingredients and bring to a simmer. 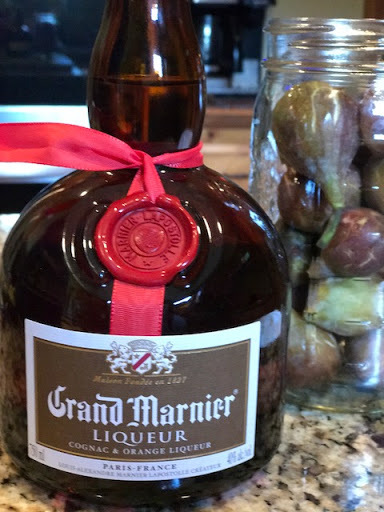 You can leave the vanilla bean pods and cinnamon stick in the jar if you prefer. Pour over the figs. Allow the jar to cool before placing it in the refrigerator. These should last a long time because of the alcohol content.